This is a must knit hat. Your child will love this! I made one for my neighbor's one year old son. Just adored the yarn. 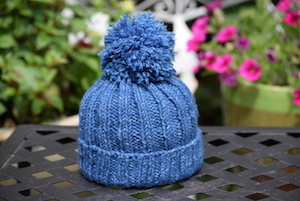 A classic rib hat and pom pom. Cute and cozy for every occasion. Knit this one up in a brief. A must try project ! 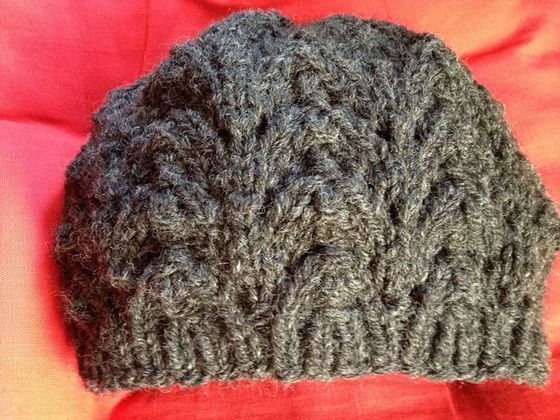 Easy Slouchy Hat - Knit it for you or your love one, men or women boys or girls. Change size by decreasing a set of 6 stitches. 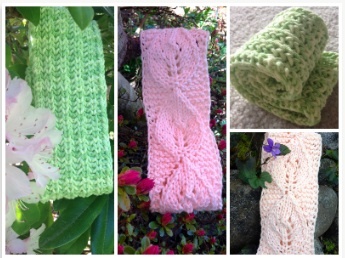 Keep sweat off your face with these awesome cotton headbands while enjoy working in your garden. Or just make them to wear anywhere. 320-Stars Headband - A must knit star headband. Love this 2-colors star pattern. Use up those leftover yarn in your stash. Cute Headband With A Bow - Easy and quick headband with lovely bow. Make one today for you lil one! 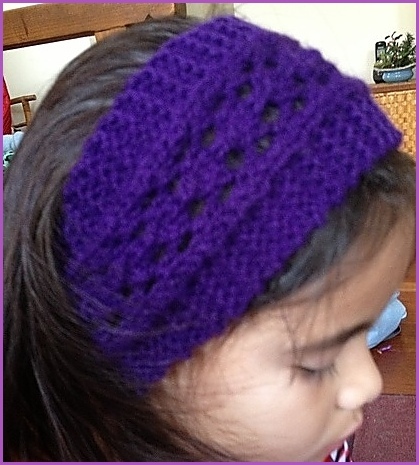 This headband is a great way to practice your lace knitting. I even made a video tutorial for this one. 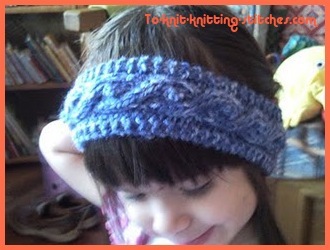 Bobble Cable Headband - simple headband you can knit for you or your kids. Fishtail Hat Fast to knit chunky hat in fishtail pattern. 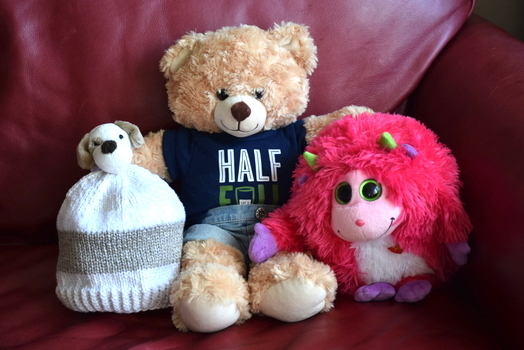 Use less than a ball of Wool-ease chunky Lion Brand Yarn. Hat Bloom This hat looks so lovely. It'll look good on anyone. I love the blooming flower on it. Have to knit me one of these. I'm sure you'll love it too. Beginner's Double Hat This hat will sure keep your head cozy in Winter time. It's double and it's reversible! I knitted one like this but with mohair so it looks lighter. Beginner's Hat I love the way Holly talks about her hats and her patterns. 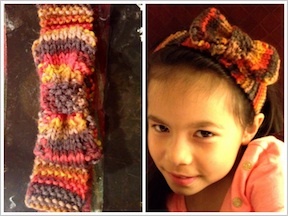 I thinks It's so wonderful that she wants to show knitters the simple way to knit a hat. So, I must pass it on. Easy Hat Stockinette stitch hat with rib edge. If you like wearing not so tight hat, this is the one.